The highly anticipated new single, “Losing You Blues,” from one of the hottest bands in bluegrass music today, Sister Sadie, releases today on Pinecastle Records. 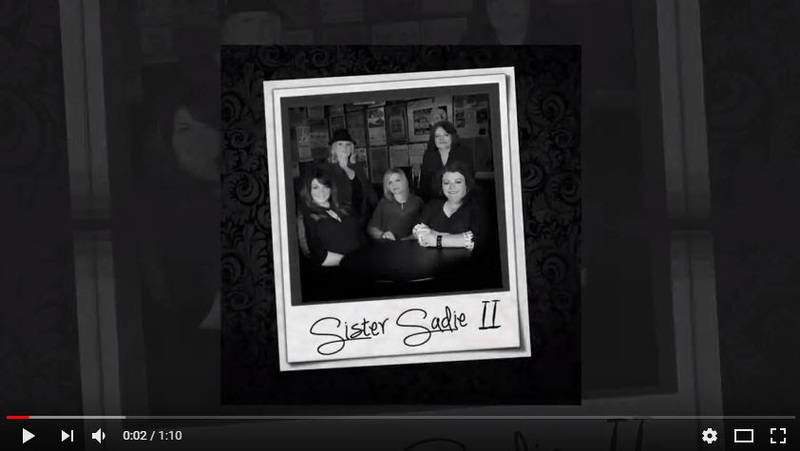 Losing You Blues is the new single from the forthcoming album simply called “SISTER SADIE II”. The bluesy song, written by Tina Adair and Doug Bartlett, showcases Adair’s powerful, gritty vocal chops, the family-like harmony of Sister’s Bradley and Britt, the sass of Richardson’s fiddle and tight groove of Lawrence’s bass driving the rhythm section. The female super-group is comprised of five of the most accomplished ladies in the industry, who all happen to be the best of friends and have a ball making music together. Dale Ann Bradley, Tina Adair, Gena Britt, Deanie Richardson, and Beth Lawrence agree that even though they have their own projects, walking up on stage together is just a good time waiting to happen. Beth Lawrence – A well known and respected acoustic bass player in demand as a session player. She is also the comedian of the stage show.